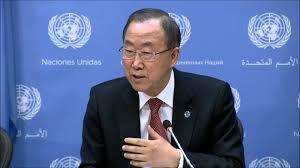 Over the last years, the protection of civilians from mass atrocities has become a priority for the United Nations. The doctrine of the Responsibility to Protect and the Human Rights up Front initiatives constitute the main outcome of the international community’s focus on civilian protection. However, the two measures have not yet achieved the expected results, and they seem to require a comprehensive harmonisation strategy to improve their effectiveness. The most recent initiative, drafted by the Special Adviser on the Prevention of Genocide and the Special Adviser on the Responsibility to Protect, is the Framework of Analysis for Atrocity crimes (hereinafter, the Framework or the document) which defines sensitive concepts and proposes a structured action plan to prevent atrocity crimes. In so doing, the Framework may represent a first step towards coordinated UN action in the protection of civilians. In 2005, the General Assembly endorsed the doctrine of the Responsibility to Protect as a reply to the international community’s inadequate response to the atrocities of the ‘90s, in particular, the genocides in Rwanda and Srebrenica. According to the doctrine, every State is responsible for the protection of its population from atrocity crimes. Additionally, the international community has a responsibility to help states to build the capacity to provide this protection, and is also required to step in to act directly to protect populations affected by mass atrocities where a State manifestly fails to protect them. In spite of the development of this doctrine, in 2012 the Report of the Secretary General’s Internal Review Panel on UN action in Sri Lanka denounced the “systemic failure” of the UN reaction to the 2009 Sri Lanka armed conflict. 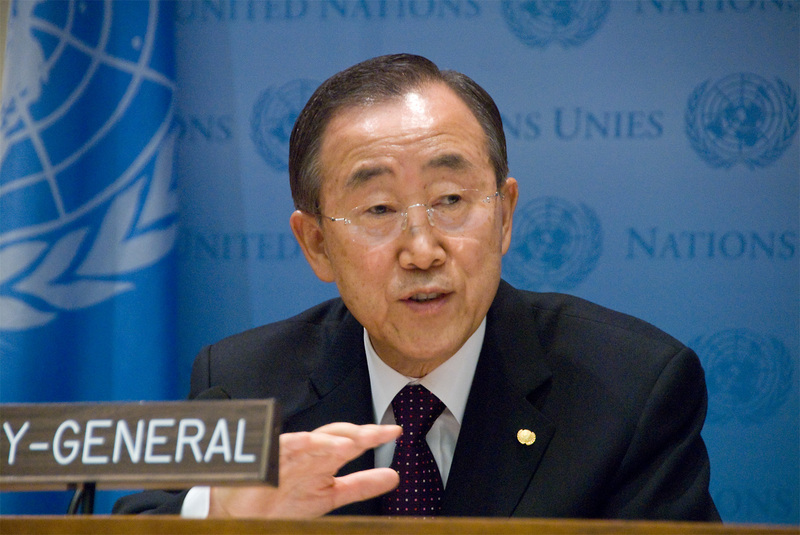 As a result, the UN Secretary General Ban Ki Moon responded, in late 2013, with a new initiative: Human Rights Up Front. The initiative provides for a series of 6 actions, in the spirit of the UN Charter, to ensure that the UN system takes early and effective action to prevent or respond to large-scale violations of human rights or international humanitarian law. Still, in 2014 the international community and, in particular, the Security Council demonstrated again that it was incapable of undertaking coordinated and effective action in response to mass atrocities committed, among others, in Iraq, Syria, the Central African Republic, and South Sudan. The approach established in the Responsibility to Protect and in Rights Up Front did not provide for sufficient coordination between the UN initiatives or for an effective action procedure. In an attempt to strengthen the protection mechanism through harmonising the approach to UN action, the Special Adviser on the Prevention of Genocide and the Special Adviser on the Responsibility to Protect have developed a Framework of Analysis for the Prevention of Atrocity Crimes. Launched in December 2014, the Framework was conceived as a guide for assessing the risk of genocide, crimes against humanity and war crimes. Most of the document comprises an early warning analysis mechanism that should assist in the identification of a sensitive situation before it escalates into a crisis involving mass atrocities. The Framework also covers other crucial aspects which deserve some attention since they have a bearing on the overall UN approach to the protection of civilians. Moreover, in the foreword of the document, Secretary General Ban Ki Moon recalls both the Responsibility to Protect doctrine and the Rights Up Front initiative; thus, the document can become a useful tool in the development, interpretation and application of both measures. First, it provides a common language by defining concepts, such as “atrocity crimes”, which were previously used without a specific definition under international criminal law. The document replaces the previous “Framework of Analysis” drafted in 2009 by the Special Adviser on the Prevention of Genocide and which dealt exclusively with the crime of genocide. With the inclusion of the Special Adviser on the Responsibility to Protect, the new Framework covers the broader, less clearly defined concept of “atrocity crimes”. Second, it focuses on the role of the international community in prevention, a clear common point between Rights Up Front (with the informative role of the UN Secretary-General) and the Responsibility to Protect (with the second pillar, assisting States in protecting populations). This also affirms the existence of a customary international obligation to prevent atrocity crimes and proposes a tool to identify situations of crisis before atrocity crimes are committed. The Framework first defines “atrocity crimes”. According to the document, the expression includes three legally defined international crimes: genocide, crimes against humanity and war crimes. In addition to these, ethnic cleansing is mentioned as a crime that is not defined under international law, but “includes acts that are serious violations of international human rights and humanitarian law that may themselves amount to one of the recognized atrocity crimes, in particular crimes against humanity”. However, for the purpose of the examination of the risk factors of atrocity crimes, ethnic cleansing is integrated into the analysis of crimes against humanity. It is also noteworthy that the Framework is limited, in its application, only to those war crimes that have an impact on the protection of human life. In addition, the document includes a further requirement, that the mechanism is only triggered in respect of war crimes that “assume a more systematic or widespread pattern of conduct”, using the same language which defines the threshold of crimes against humanity. The Framework expressly focuses on the prevention of atrocity crimes and the breakdown of a situation into one where widespread mass atrocities are committed. In so doing, the document lays out not only the intention to protect civilians, but also the broader aim to preserve regional, international peace and stability. In its support for the commitment to prevent atrocity crimes, the Document affirms the existence of a customary obligation to prevent genocide, crimes against humanity and war crimes. The customary nature of the prevention obligation is supported by the Framework’s reiteration of the main international treaties dealing with international crimes and violations of international humanitarian law: art. 1 of the 1948 Genocide Convention, art. 2 of the 1984 Convention against Torture, and common art. 1 of the 1949 Geneva Conventions, which can be interpreted as including an obligation to prevent violations of international humanitarian law, including war crimes. Interestingly for the collective action of the international community in protecting civilians, the Framework further mentions the development of the concepts through international tribunals’ jurisprudence and specifies that the obligation to prevent genocide is not territorially limited. This reflects the position taken by the International Court of Justice, in the 2007 Bosnia v. Serbia case, that every State with a “capacity to influence effectively the action of persons likely to commit, or already committing genocide”, even if outside its own borders, is under the obligation “to employ all means reasonably available to them, so as to prevent genocide so far as possible”. Over the past decade, despite the different measures taken within the UN, the international community’s capacity to address atrocity crimes has not improved. The UN Secretary General and his Special Advisers on Genocide and on the Responsibility to Protect do not have the hard power to undertake direct action against mass atrocities. Member States, starting from the Permanent members of the Security Council, are those empowered to respond to ongoing crises, by providing coordinated action and consistent resources. The political will of States is a necessary precondition for guaranteeing human protection. Still, UN institutions can influence member States and their public opinion by providing information and directing attention to the most urgent situations. By proposing a common language, a common focus and a standard procedure, the Framework of Analysis for the Prevention of Atrocity Crimes has the potential to become a helpful tool to improve the the effectiveness and consistency of the action of the UN bodies. Article I The Contracting Parties confirm that genocide, whether committed in time of peace or in time of war, is a crime under international law which they undertake to prevent and to punish. Convention on the Prevention and Punishment of the Crime of Genocide, Adopted by the General Assembly of the United Nations on 9 December 1948. 1. Each State Party shall take effective legislative, administrative, judicial or other measures to prevent acts of torture in any territory under its jurisdiction. Convention against Torture and Other Cruel, Inhuman or Degrading Treatment or Punishment Adopted by the General Assembly of the United Nations on 10 December 1984.